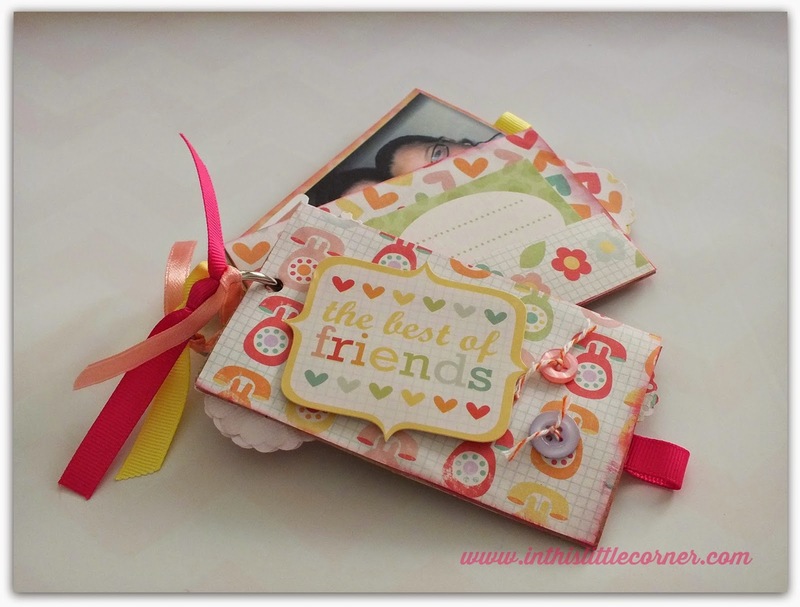 This is a gorgeous Mini Theme Kit by Echo Park called "Best Friends". I was able to work several projects, and this is the 3rd one. It is a Toilet Paper Roll Mini Album, and as you all know I love to repurpose things, you can imagine this is one of my favorite projects to do. I placed pictures of my best friends in my mini album, stickers from the kit and used colored ribbon to finish it up. If you want to see other Toilet Paper Mini Albums I have made, you can click here, here and here. 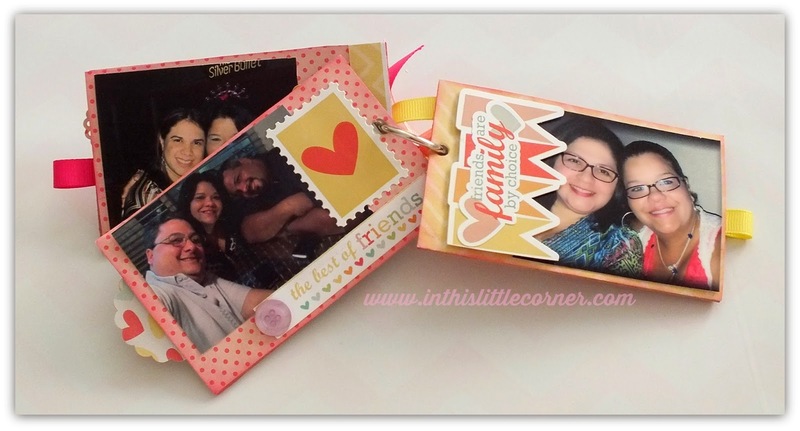 *Update: You can see the Scrapbook Layout, card and notebook I made with this kit! Peace and healthy days to you! This is so cute! Thanks for sharing with 613 A enue Create. Your little book is adorable but to be eligible to enter our challenge, you must use at least one Cheey Lynn Designs die. Perhaps you will visit us again. ¡Hola, Issys! ¡Este mini album es muy precioso! Me gustan la forma, los colores y las decoraciones. Me parece que cortaste las páginas al interior de una forma ni cuadrada ni rectangular. Tenías que mostrarlas. Este también debe ser un detalle bonito. Adorable book! Thank you for joining our "Anything Goes" Challenge this week at Love to Create. What a Terrific project! Great recycling! thank you for sharing your work with TTCRD this week.